Another day, another lovely post for all of you. 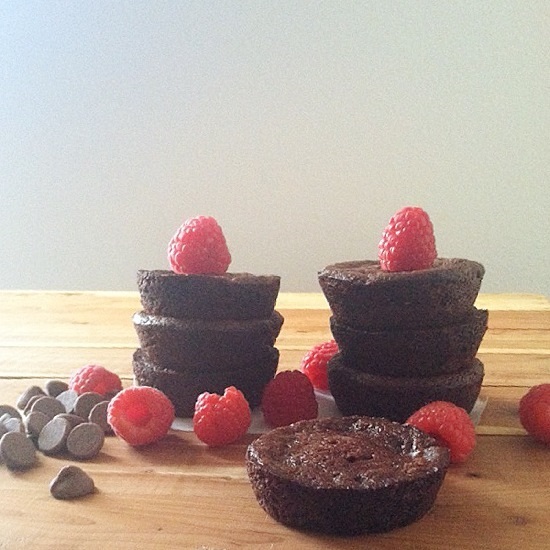 Today is raspberry and chocolate in brownie form. I have tried this recipe every which way for months before I finally figured things out. It was either too soft, too crunchy, or you couldn’t really taste the raspberry, and I made it even harder for myself by refusing to look at other raspberry brownie recipes because apparently I am a glutton for punishment, but the main takeaway is that I finally figured it out and took crazy cute pictures of them as well. Seriously, I want my first born to be this cute. I love fruit, I could eat it on it’s own without any baked good. Chocolate I am always iffy on, one minute I like it and then next I can’t stand it and want nothing to do with it. So when I am finally in the mood for chocolate my inner fruit addict wants to put some in it right away. Raspberries are just too cute and tasty to not put in things other than tarts, I mean are they used for anything else. So I put them in a brownie. To start this paragraph off I’ll tell you where I got the idea and explain from there. I was being a greedy little gremlin and stuffing my face with brownies, I figured why not add to the face stuffing I was doing so I pulled out some raspberry jam and it started from there. That being said I didn’t want to create a recipe where you had to use jam, me myself I barely use jam mostly because I don’t like the preservatives in them, so I wanted to use real raspberries, the problem with raspberries; they’re filled with a lot of water despite there little size and when the raspberry meets heat they let it all out which doesn’t end well for the brownie. 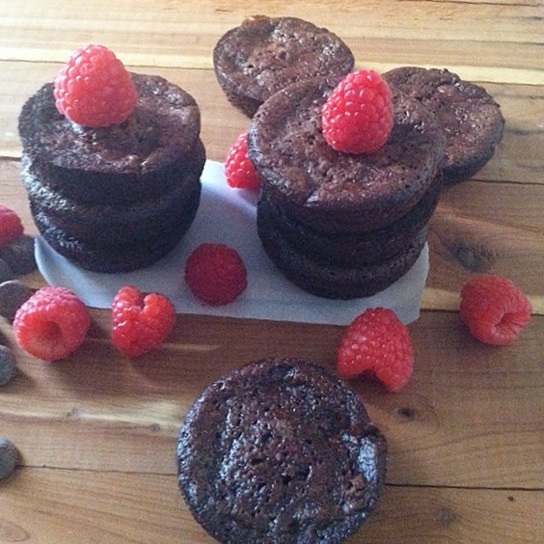 So when I finally made the correct recipe adjustments I realized cooking out some of the water in the crushed raspberries and adding some flour, which isn’t usually in my brownie recipe, it all worked out and even played up the raspberry taste as it gave the raspberry a more concentrated flavor. How did I get this idea, well I was making homemade fruit leather (Fruit Roll-Ups) and it dawned on me. Helpful Hint: When you take the brownies out of the oven, let them sit for about 10 – 15 minutes and the flip it upside down and let the bottom part harden up as well. So there you go. I really hope after reading the recipe you find it easy enough to go and make yourself. If you swap out the raspberry for another fruit please comment and let us all know how it went. A little bit of extra motivation and inspiration never hurt this blog runner or her readers! Preheat the oven to 350 F and pre-measure out all ingredients. In a small bowl add the raspberries and add 2 teaspoons of sugar and allow it to sit in the fridge for about 30 minutes. Once this is done, crush the raspberries, if the raspberries are very juicy you can put the raspberries in a saucepan and cook some of the liquids out about 10 – 15 minutes. 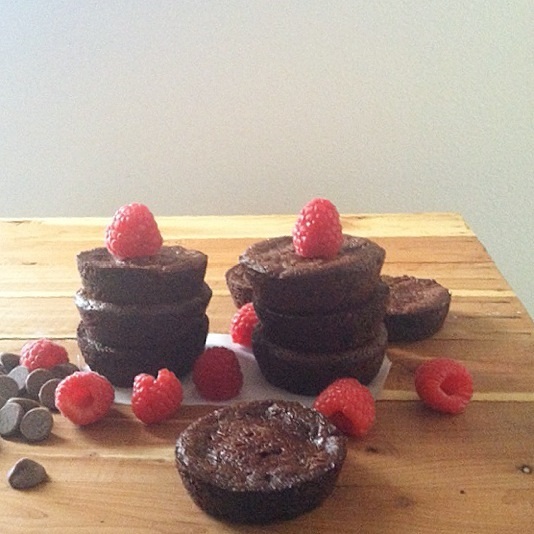 This is my favorite method to ensure a raspberry taste without risking a gooey uncooked brownie. Melt the butter in a heat safe bowl, and add the sugar, eggs and vanilla paste. In a medium to large sized mixing bowl, sift the flour, cocoa powder, baking powder and salt. Add the butter and egg mixture to the dry ingredients. 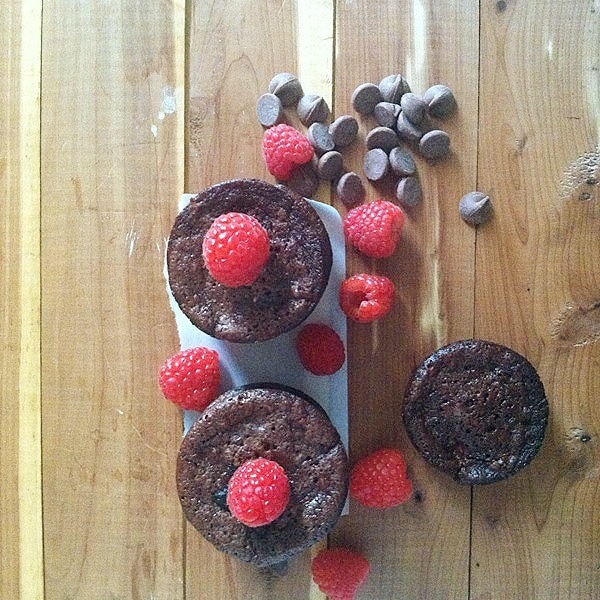 Add crushed raspberries and proceed to the muffin/cookie tin. Of course you can do this in a normal brownie pan but the individual ones are so cute, and let’s not forget that we all still have that little childish thing in us that wants our own individual snack. 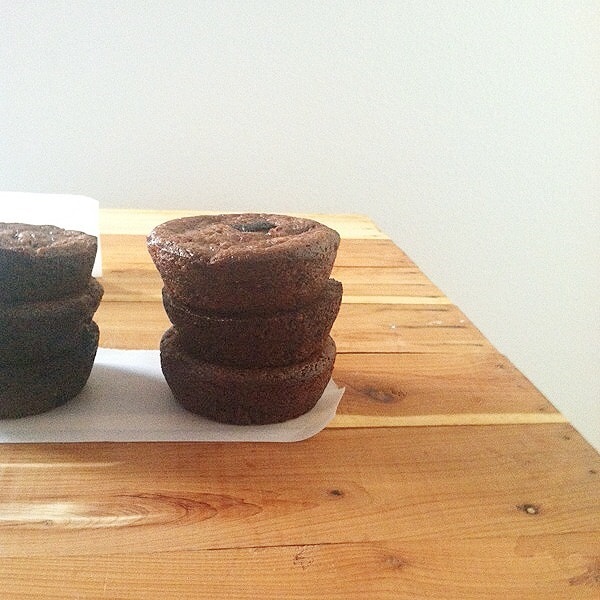 I encourage using an ice cream/cookie scoop that way each brownie will have the same amount not having a somewhat uniform amount of batter in each muffin tin will cause uneven and difficult baking time as you will have to take the already cooked ones out and leave those fatties in to cook some more. If you don’t have an ice cream/cookie scooper then a kitchen spoon or tablespoon measuring cup will be fine. Scoop about 2 ½ tablespoons into each muffin tin. If you want you could sprint some fine sea salt on top of each brownie, I love the taste of a bit of salt on my sweets. Bake for 30 – 35 minutes, check after 20 – 25 minutes. Once cooled, you can enjoy and let me tell you this with some whipped cream or some ice cream, well you’ll keep the rest of those 11 raspberry brownies all to yourself. You won’t even share with your kids (if you have any) and if you don’t that just makes it easier to not share. Am I right?!? !